A unique combination of caffeine to energise the scalp & natural plant extracts help improve overall hair vigour. 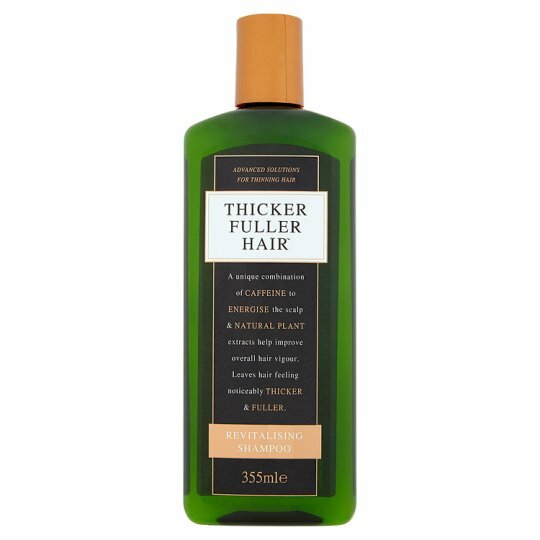 Leaves hair feeling noticeably thicker & fuller. Marine Flora to help reduce limpness of hair and loss of hair strands due to preventable breakage. This revitalising shampoo helps energise lifeless hair by removing build-up from hair and scalp without stripping essential oils. Directions: Apply to wet hair and scalp, massage into a rich lather. Rinse thoroughly. Repeat if desired. For best results, follow with Thicker Fuller Hair Weightless Conditioner & Instantly Thick Serum. WARNING: Not to be taken internally. Rinse thoroughly if product gets in eyes as it may irritate them.